Gwynnie Bee To Now Offer Sizes 0-32, What Does This Mean for the Brand? In 2018, we are expanding our service. Later this month, you may notice new sizes being added across our offering. We’re excited to share that we are extending our size range to 0–32. No matter what size you wear, we can now better serve our members’ needs. As our collection grows, our style selections will continue to be focused on you—we will not be reducing the styles or sizes you’ve to come to expect from our service. When I first read this, I was concerned. 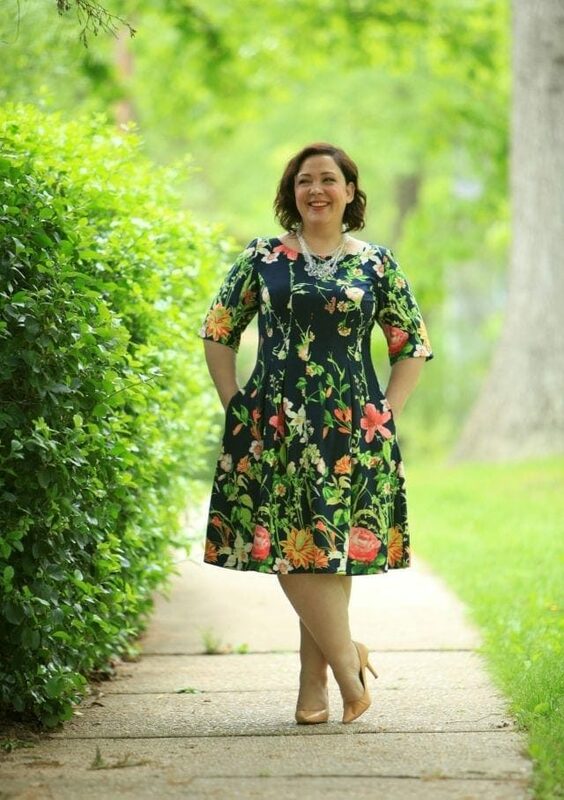 As a member and fan of Gwynnie Bee for almost six years (and even one of the people in the Gwynnie Bee informerical you may have seen at 4am), one of the reasons I love the company so much is because it’s a service that is only for plus size women. Most of fashion is only for women smaller than a size 10; it's exciting to have such a brilliant service just for, and only for those excluded by most fashion retailers. There’s so much more selection for sizes 0-8 in the retail world, would I now scroll through Gwynnie Bee and find that options were not available in plus sizes? Would they start using smaller models? I also worried about sizeism; I see it regularly where those who are slimmer criticize plus size women for “unflattering” or un-modest choices or criticize their lifestyle without knowing an iota about them. Was Gwynnie Bee growing too fast? I worried about their longevity. By offering sizes 0-32, will Gwynnie Bee have clothing in a smaller size and not have it available in a plus size? Gwynnie Bee has only bought 0-8 sizes in the styles that come in 10 to at least 24 (and 32 when retailers offer it). What that means is that Gwynnie Bee has only added more sizes to items already available in plus size, they haven’t added new styles or brands that don’t offer the same item in plus sizes. Gwynnie Bee features their clothing on plus size models, will that continue? Gwynnie Bee will continue to use the same plus sized models they’ve used for the past five years. 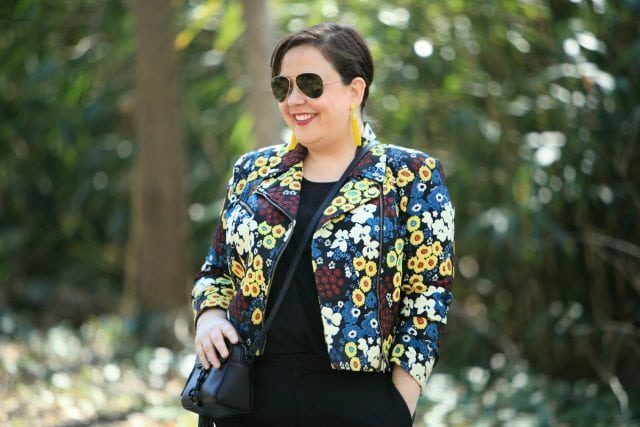 They will also continue to use the same plus sized First Fit Review models (size 10-28 women who visit Gwynnie Bee to try on, photograph, and review New Releases to assist other customers with size and style choice). 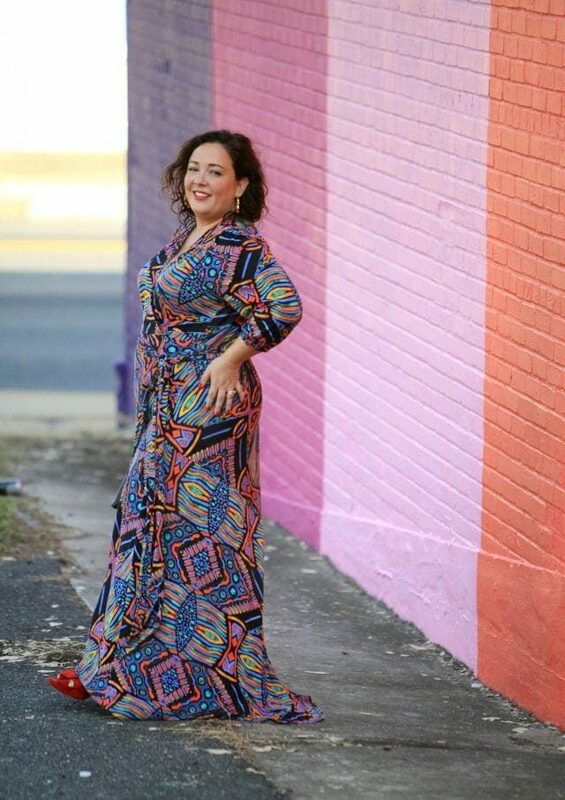 Unlike many retailers with an extended size range who show all their clothing on straight sized models, Gwynnie Bee will be showing all of their clothing on plus sized models. How refreshing is that? Will the increase in customer base and options affect delivery times? No, in fact Gwynnie Bee is opening an additional distribution center in Phoenix, Arizona. Delivery times and the entire Gwynnie Bee process should not change in any way with the addition of more sizes. 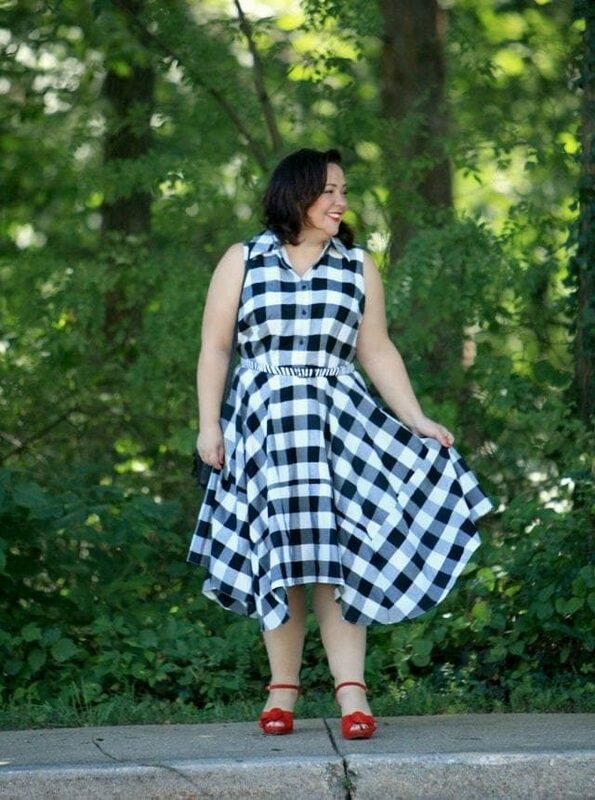 Will Gwynnie Bee stop carrying brands that only provide plus size fashion? No, Gwynnie Bee will continue to carry plus-size only brands that their customers love. With this addition of sizes 0-8 to Gwynnie Bee, will there also be more offerings in sizes 26-32? Gwynnie Bee is committed to providing options for sizes 4x and 5x. They buy these sizes whenever they are available in the styles we offer. However, as we all know the market is behind. As a result, Gwynnie Bee proactively works with their brand partners and designers to extend their size range to include 26-32. This has been seen with exclusive collections Gwynnie Bee has with designers such as Amanda Uprichard, Rachel Antonoff, Jay Godfrey, and Tracy Reese. In just the past year, Gwynnie Bee has added 70 new brands to their collection, of which 21 of them are available up to a size 32. Gwynnie Bee has always been about size inclusivity, even back in 2015 when I interviewed Christine Hunsicker on my blog. After receiving more detail about the addition of sizes 0-8 at Gwynnie Bee, I think this is a perfect example of size inclusivity that keeps plus size fashion at the forefront. I am excited to see how this goes, and look forward to more retailers following suit with extended size ranges. If you’re interested in trying Gwynnie Bee, a clothing subscription company, you can use my personal referral code to get your first month free. 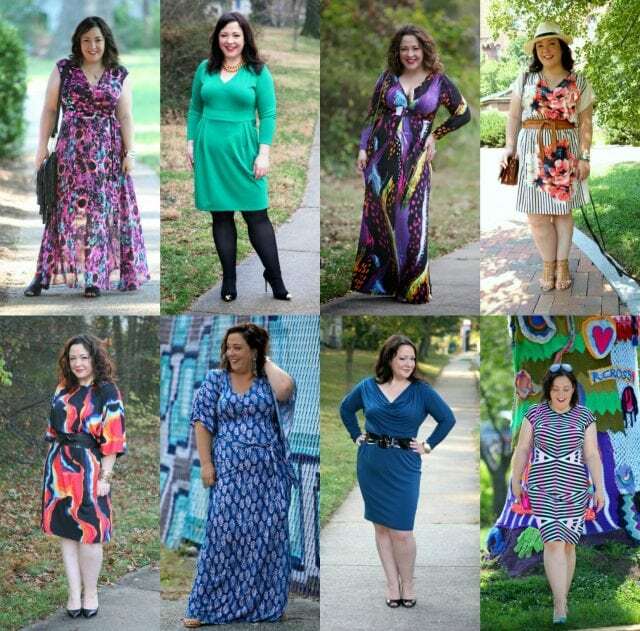 You can review all my blog posts about Gwynnie Bee and the clothes I have rented from the company from my Gwynnie Bee archives, and I am happy to answer any questions you may have in the comments. While I am one of Gwynnie Bee's influencers, I promise to be honest with all responses for I am a customer as well. What do you think of Gwynnie Bee’s decision to extend their size offering to 0-32? This is great news! I usually wear a size 10-12 but was hesitant to try Gwynnie Bee because I’d have no option to go down if pieces ran on the roomier side. Can’t wait to try it! I’m all in – love to see that many of my favorite Allie pieces may soon be available to fit me. If they’d done away with the 10+ sizing they’d lose you as a spokesperson and then I’d not see any of them or how beautiful their clothes look on you! I’m excited by this news as well, same reasons as jennifer, and I’m ready to go! But as soon as I click your link to sign up, it asks a bunch of questions on brands you like and only lets you enter sizes 10+. So have they gone live with sizes 8 and under yet? If so, the website needs to be better updated. I’m confused and admittedly am a click click buy kind of consumer and don’t have time to figure it out. Hopefully I’ll remember to check back again later in the year when perhaps they are ready to go with sizes 8 and under. I heard from GB the size 0-8 pieces will be rolling out at the end of the month. Once they have a set launch date, they’ll let me know and I’ll be sure to do another post announcing it! I’m curious to look into Gwynnie Bee as an option. I’m not plus-sized, but I have had two children in the past five years so my size and body type have changed quite a bit. I’ve had to start my wardrobe over completely from scratch, which is frustrating and expensive. I wonder if Gwynnie Bee would be a good option to help me “bridge the gap” as I determine my current style and what types of clothes work best for me. Also very thankful to have this blog as an amazing, real-life reference point! Thank you so much, Alison! I’ve been very impressed with their exclusive collections. They really have transformed the plus size clothing market with such awesome designer collabs, I’m exciting to see what they’ll do next! Where is the evening taking place? Is there any specified dress code or details? Sounds like it may be a black tie or close affair. I highly recommend Rent the Runway for such an event, you can even get jewelry from them for the look! I am so excited by this news! I’m a size 2. Many times I’ve seen you in something beautiful in a post, wanted to shop it and then been, “Well darn. Gwynnie Bee, so scratch that.” I can’t wait to begin looking through their selection, especially for special occasion dressing. As someone smaller than size 10 , I am super excited about this news. 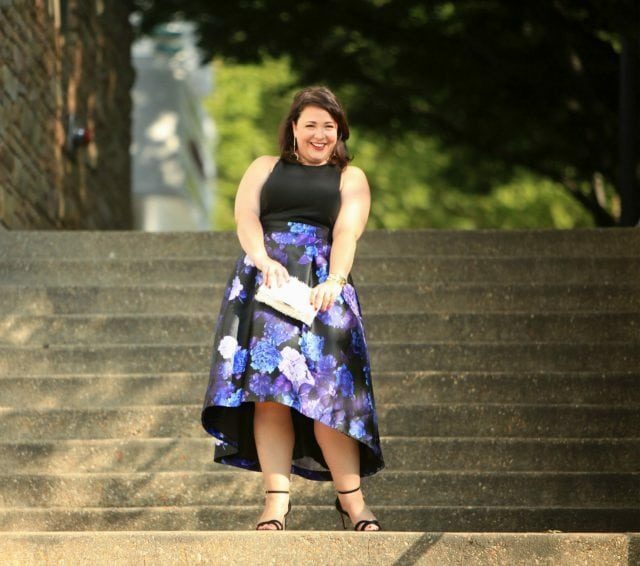 I often wished I could have the dresses I saw you wear on this blog, and I especially appreciated your point about renting a memorable dress for a single occasion, but not wanting to have it in the closet all the time. I’m trying to buy less and have a minimal wardrobe, which works fine for every day, but when there is a special occasion, my black-and-navy separates aren’t really how I want to show up. I trust your opinion and aesthetic so much that I didn’t ever consider the straight-size clothing rental companies as an option. (Tell that to your advertisers! & sponsors!) I dismissed them as too youthful-oriented (I”m 47 ) You like Gwynnie Bee, so I wanted Gwynnie Bee. And now, just in time for a family wedding in March, I can have it! Aww thanks, and I am glad this is happening at just the right time for you!